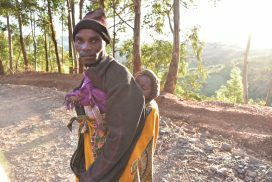 People with Albinism (PWA) in Tanzania are seriously threatened by various factors. Albinos are therefore living in centers, in the hope that they are safe here. 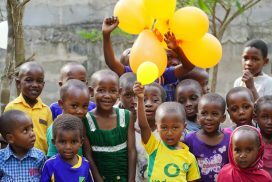 Inside The Same is supporting two good centers in Tanzania where they can live a normal life. 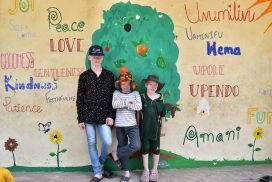 Peramiho Foundation has set up different projects to help the community and orphans in South Tanzania. They have built various wells, a water tank, school and an operating room. Currently, they run a very interesting new project called Watoto Kwanza (children first)! 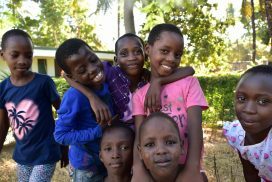 Tan-Kids and their local partner Share to Grow are committed to help underprivileged children and families in Tanzania. They have developed a family based child care program, which consists of 6 different interventions. They think it is important that children grow up in a family. 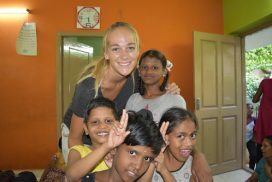 The Friendship Foundation is a Dutch foundation that focuses on people that are not always seen by the society. A very important project is the daycare centre for disabled children but they also support disabled adult women and elderly people. 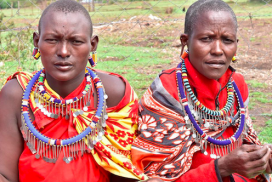 The Maasai is one of the most famous tribes in Africa. In the past they traveled as nomads but nowadays this is no longer possible, so they live in poor settlements. Oloonkolin Foundation supports one of the poorest settlements by sharing knowledge and to support sustainable development. The Fahari Foundation takes care of orphans and children from a one parent family where the parent is too sick or poor to take care of her/his child. Their mission is to improve the lives of these vulnerable children and to make them self-reliant. Not by giving them money, but by giving them opportunities. 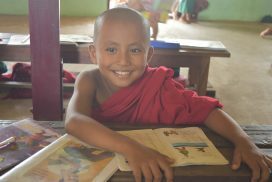 HEALKids is supporting and helping orphaned, abandoned and disabled children in the most remote and poor areas of Myanmar. HEALKids supports multiple projects financially and runs a number of projects itself. They focus on different important aspects from education and healthcare to feeding programs. Isai Ma(i)yam gives shelter to the poorest (orphans) children in Pondicherry, India. This is important because many children have to deal with child abuse or other issues. Every weekend, they go to the Artschool to learn music and dance. Besides, they run a handicap school for disabled children. Paadhai gives shelter to orphans, children who have been dealing with problems like child abuse or who are underprivileged. They have a boyshome and a girlshome. Here, the children can live a normal life, can go to school and develop themselves on different skills to get fair opportunities in the future. 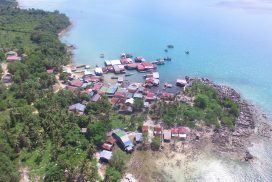 Conservation Cambodia is an organization that focuses on Marine Conservation and Community Development programs for volunteers and interns located on the island of Koh Rong in Cambodia. The community development programs are aimed at making high-impact, sustainable changes in Daem Thkov. 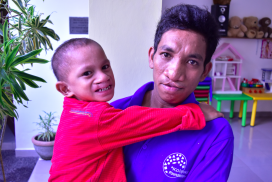 Stichting Beetje Beter is a foundation that has two learning centers in two different slums in Phnom Penh. These slums are home to many poor families who work on the garbage dump, sometimes together with their children. Beetje Beter offers the children free education so they can go to school instead of working on the dump. Child Surgery Vietnam (CSVN), headed by Jo Koster is a small dutch NGO that works closely with a Vietnamese NGO, Center II. 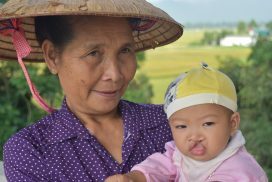 CSVN and Center II focuses on operating children with a handicap in the poorest and most remote areas of North Vietnam. Together with Jo, An and two teams we traveled to these areas. 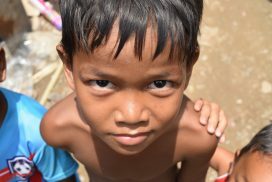 New Futures Organisation focuses on providing free and accessible education to the poor children in the province Takéo, located in Cambodia. Their goal is to provide them a pathway out of poverty and an opportunity for a better future through education. 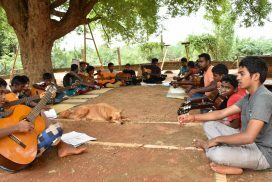 They have 5 village schools where they educate 600 children. The Kolewa Foundation is a small charity. The foundation focuses on helping children and families living in the most poor and isolated areas of Indonesia. They are always looking for people with physical disabilities to give them the help they need and the chance for a more comfortable and better future. 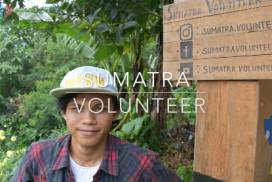 Sumatra Volunteer is a non-profit organization, located in Sumatra, Indonesia. 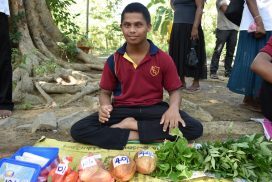 Sumatra Volunteer runs different programs in the rural area of Batusangkar, like teaching English and supporting an Arts and Culture program. The plan for the future is to set up a proper educational center, focused on different activities. 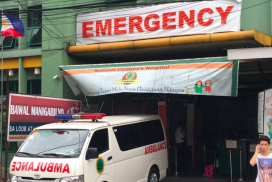 The National Children's Hospital (NCH) is a children hospital located in Quezon City, Manila. Most children treated at the NCH are children whose parents have not enough money for medical expenses. The National Children's Hospital is founded to make sure that these children get the care they need.